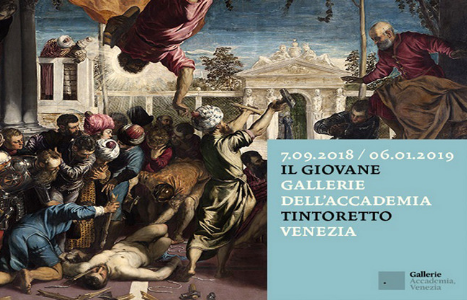 The Gallerie dell'Accademia (the academy's galleries), the prestigious museum that is home to many masterpieces of Italian art, recently inaugurated the exhibition “Il Giovane Tintoretto” (young Tintoretto), with works from the first ten years of activity from one of the greatest Venetian painters from the Renaissance. The exhibition features 26 paintings from the world's most important museums and serves as an introduction to the exhibition in the Palazzo Ducale, “Tintoretto 1519 – 1594”, which celebrates the 500th anniversary of the birth of the great painter and shows the great masterpieces that he created in his maturity. With 50 paintings and 20 autograph drawings, borrowed from Italian and international museums such as Madrid's Prado, London's Royal Collection and the most important art collections in Chicago, New York, Philadelphia and Washington, the exhibition is truly extraordinary: an unmissable experience for those who love art and the Italian Renaissance. Both the Accademia and the Palazzo Ducale are easily reachable from Ca' del Brocchi. The Accademia is just a five-minute walk away, while the Palazzo Ducale takes 20 minutes to reach on foot or 10 by Vaporetto (boat) from Locanda Ca’ del Brocchi. Ca' del Brocchi, a B&B in Venice in Accademia area offers a special price for those who book their Venice holiday here on the official website. A 10% discount for a three-night stay in Venice's magical atmosphere. We are waiting for you!